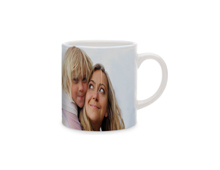 The online software allows you to create Your Photo Product on any computer connected to the Internet. You can, for example, start your Photo Product at the office and finish it at home! The download software allows you to work without being connected to the Internet, except when you place your order online. Recognized as one of the best softwares for photo products. How to create your own Photobook in a second? It's free, fast, simple and without obligations. We offer our experience and know-how to help you realize the most beautiful photo products! Unrivalled print quality in Europe! More than 10 years of experience in the world of personalized photo products. Online sharing function for your photobooks, sponsorship and loyalty programme. We are available on this site through the live webchat. Don’t hesitate! A channel with more than 50 videos full of tricks and ideas to create. A Facebook page where people help each other and share their creations. You'll be able to find all the inspiration you need, as well as bargains!